What Is IPv6 Address & Why Should I Know About It? The internet has become a complex grid of interconnected users, devices, platforms, and so many other services that people use every day. Every device, which connects to the internet has its own unique identity, known as the IP address. The current industry norm for IP addresses is known as IPv4, which is now being replaced with IPv6, at a steady pace. Here is all that you need to know about the IPv6 address, its advantages, and how it works. Internet Protocol Version 6 (IPv6) is a network layer protocol which allows communication and data transfers to take place over the network. IPv6 came into existence in 1998 with the sole purpose to take over and replace IPv4 protocol one day. IPv4 protocol, the previous standard, consists of four number strings – each containing three digits separated by dots. A standard IPv4 address is 32-bit and looks something like 255.255.255.255, which allows 4.2 billion unique IP addresses. Finding you IPv4 IP address manually is easy, you can learn it here. With wireless and network-attached devices increasing rapidly by the day, it was expected that by 2010, the internet would have exhausted all unique IPv4 addresses. To come up with a new standard of network layer protocol that allows more unique IP addresses to be created, IPv6 was standardized. IPv6 protocol, which is 128-bits, consists of eight numbered strings, each containing four characters (alphanumeric), separated by a colon. This gives us an unbelievable amount of unique IP addresses; 340,282,366,920,938,463,463,374,607,431,768,211,456 to be precise. It also assures that we will not run out of unique IP addresses to assign to new devices anytime soon. Now that we know about what is IPv6 address, let’s take a look at its different types. It identifies a unique node on a network and usually refers to a single sender or a single receiver. It represents a group of IP devices and can only be used as the destination of a datagram. Interested in finding out the IPv6 address of your device? See the video below to learn more. IPv4 is still very popular. People and companies are taking their time to make the switch to IPv6. IPv4 and IPv6 machines cannot communicate directly with each other. They need an in-between equipment to make that possible. For an individual to switch from IPv4 to IPv6, it requires immense effort and countless hours. IPv6 sub-netting is very difficult to comprehend while remembering your IPv6 address is nearly impossible, unlike IPv4. Who should care about IPv6 Address and Why? When Does IPv6 Leak Identity? 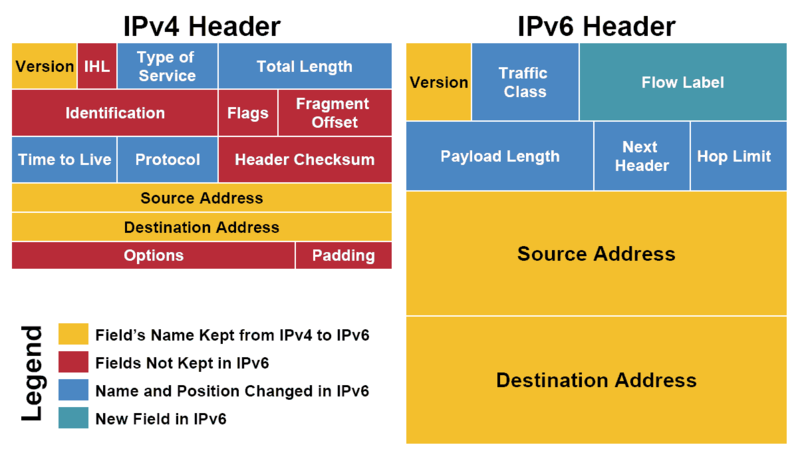 When it comes to learning about what is IPv6, it becomes equally important to learn about what is IPv6 leak. There are no direct harms associated with IPv6 addresses. However, things can become slightly complicated when a user connects to a VPN. A VPN user is assigned an IPv4 IP address, when he connects to a VPN. When this user tries to communicate with an IPv6 server or peer, there are chances that the real IP address can get leaked. This can lead to exposed identity. How to Get Protection from IPv6 Leak with PureVPN? IPv6 leakage can become a menace – it can reveal your identity and you won’t even figure it out. The extra effort to secure yourself before your personal information is tracked or recorded by an unauthorized individual or team never goes to waste; it always pays off. Doing so can be as simple as disabling IPv6 capability from a machine every time a user wants to connect to a VPN. Once the private session is complete, enabling the IPv6 capability is also as simple as a single click. PureVPN is the best tool available in the market that can help you protect your IPv6 address from ever leaking your real information and personal details. Just subscribe to any of the PureVPN’s premium plans and get complete IPv6 protection.